IoT devices will use a technology called Universal Plug and Play (UPnP) that will automatically open specific virtual portholes or “ports,” essentially poking a hole in the router’s shield for that device that allows it to be communicated with from the wider Internet. Anyone looking for an easy way to tell whether any of network ports may be open and listening for incoming external connections could do worse than to run Steve Gibson‘s “Shields Up” UPnP exposure test. Case in point: In February 2016 I published This is Why People Fear the Internet of Things, which examined a whole slew of IP cameras sold by Chinese Web camera giant Foscam that — by default — included a feature which would quietly phone home to a vast peer-to-peer (P2P) network run by the company. As I explained in that piece, while the Web interface for those P2P cameras included a setting allowing users to disable the P2P traffic, disabling that option didn’t actually do anything to stop the device from seeking out other Foscam P2P cameras online. Interestingly, Karas said he’s been pressing Dahua — whose IoT devices are heavily represented in the above default password list — to tell him how many of their devices are vulnerable. Karas said Dahua told him that although the company’s newest models didn’t have this problem, the company was preparing to launch a trade-in program for customers with default-insecure devices. “They didn’t give me a straight answer on this one, but that that tells me is they have a whole bunch of devices that may not be firmware updatable, which means they can’t make those devices more secure without swapping out the underlying hardware.” Update, 8:30 p.m. ET: Added final section with the sobering caveat that all of this hassle in changing the default passwords and updating the firmware may not actually solve the problem for many (if not all) of the affected devices. 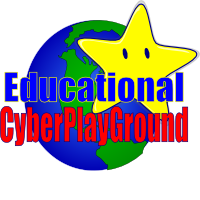 Educational CyberPlayGround, Inc. strives to help Teachers, Parents, and Policy Makers Learn about: Music, Teaching, Internet, Technology, Literacy, Arts and Linguistics in the K12 classroom. This entry was posted in NetHappenings. Bookmark the permalink.